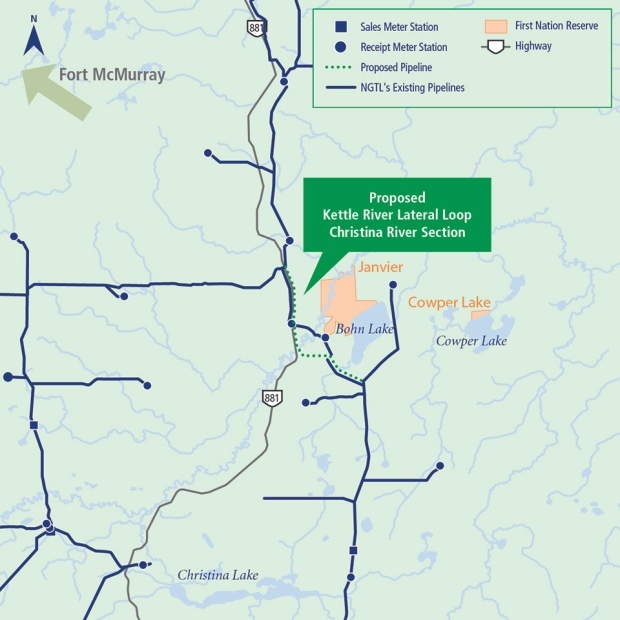 Pipeline protesters outside Fort McMurray are attempting to block construction of a natural gas pipeline because the Métis community says they weren't consulted about the project that runs underneath a key nearby water source. "No. We've never been consulted with," said Raoul Montgrand, Chard Métis Society president. "The reason why I'm doing this is the land." Chard is a hamlet about 120 kilometres south of Fort McMurray on Highway 881. The pipeline, being constructed by TransCanada Corp., is a 20-km section that will connect to the existing Kettle River line. The federal cabinet approved the pipeline's expansion in October 2016. Montgrand said day and night over the last five days as many as 15 protesters have blocked the pipeline's construction site for a "peaceful" protest. The pipeline's route will run underneath the Christina River, and Montgrand said the community worries a leak could spoil the community's water source. TransCanada wouldn't confirm whether the protest has disrupted construction. But in an emailed statement the company said the National Energy Board and the federal cabinet concluded consultation was appropriate and all affected Indigenous groups had opportunities to share their views about the project. The statement also said the project will include measures to reduce the negative environmental impacts. A spokesperson for the protesters said Monday night they hope to meet with TransCanada officials in Chard Tuesday afternoon. 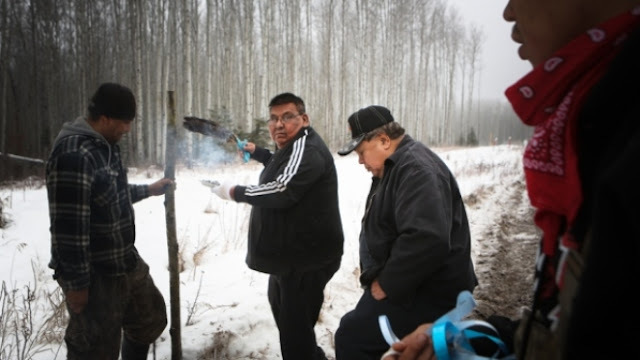 Responses to "Never been consulted : First Nation blocks construction of TransCanada pipeline under river"